Can Trump Be Sued for Inciting Violence at a Rally? Trump is in hot water yet again, but this time, for something he said during one of his campaign rallies before elected into office. On March 1, 2016, Trump held a campaign rally in Louisville, Kentucky at the Kentucky International Convention Center. Three protestors were singled out during the campaign when Trump pointed to the protestors and instructed his supporters to “Get ‘em out of here,” which he repeated several times. The three were then physically attacked. Trump then added, “Don’t hurt ‘em. If I say ‘go get ‘em,’ I get in trouble with the press.’” The protestors sustained personal injuries by being shoved and punched by Trump supporters. They sued Trump for incitement. Trump’s lawyers filed a motion to have the case thrown out, arguing that what he said was protected free speech under the U.S. Constitution and that he wasn’t actually speaking to the crowd that night when he instructed them to “get ‘em out of here.” The Kentucky U.S. District Judge David J. Hale was unpersuaded and allowed the case to proceed. In laymen terms, inciting violence means a person encourages, provokes or urges violence upon another. It requires somebody to actively urge violence against particular individuals. To analyze what is incitement, we must first look to what it isn’t. Let’s take this scenario where three protestors interrupt one of Trump’s campaign rallies. Instead of directing the crowd to “get ‘em out of here,” he asks them, “Where’s the exit?” Would that be incitement? In that scenario, no. While his intent may have been to encourage his supporters to find the exit and kick the protestors out, he would’ve simply asked a harmless question about the location of the exit. Since he wouldn’t have directed or urged them to act violently, incitement wouldn’t be found. Let’s take the same scenario. What if Trump not only told his supporters to “get [the protestors] out of here,” but he said to a specific group of people in the crowd, “Kick [the protestors] in the stomach” and “Punch them in the face on the way out!” That would be a clear example of inciting violence. In this hypothetical, he would have told specific people in the crowd to act violently against the protestors. Trump’s attorneys cited two main arguments for why the case should’ve been dismissed: Trump’s speech was protected free speech, and that he never directed the crowd to become violent. He argued that his insistence to “get ‘em out of here” was directed to his security guards. Judge Hale didn’t buy it. 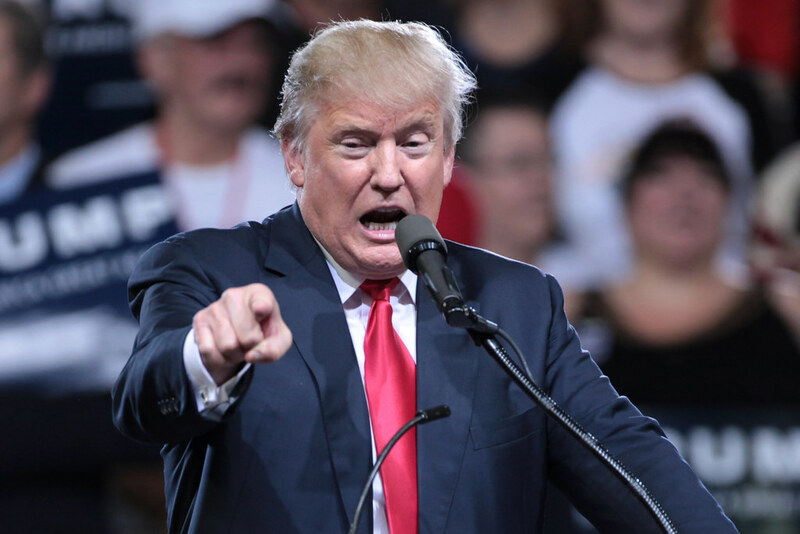 Judge Hale looked at numerous Trump campaign speeches that were submitted into evidence by plaintiffs to demonstrate a pattern of Trump asking his audience to act violently. Among the examples were pleas by Trump in a 2015 Alabama campaign rally that a protestor “maybe…should have been roughed up” and a 2016 rally in Iowa when Trump instructed the crowd to “knock the crap out of” anyone getting ready to throw a tomato. In one rally in Michigan, he asked a protestor to be removed and urged the crowd not to hurt him, but then added, “If you do, I’ll defend you in court. Don’t worry about it.” This is our President, people. Procedurally, Judge Hale’s decision can be reversed on appeal. Trump’s attorneys would have to convince the appellate judge that Trump was not directing the speech at his campaign crowd. While that certainly may be true, Trump has teetered on the edge of encouraging violence at his rallies throughout his campaign. A judge could easily adopt Judge Hale’s thinking and reject Trump’s defense. Whether incitement will ultimately be found would require a detailed analysis of the facts of this particular case. Either way, chances are this is not the last time we will see Trump in court for something he did or said during his presidency.